How can you make your kitchen more magical? How can you make a traditional (and let's face it, sometimes banal, kitchen) turn into a truly magical space? Today we are going to find out in this fabulous homify article. We've put together seven simple ideas that are easy and quick to implement and suit all budgets. 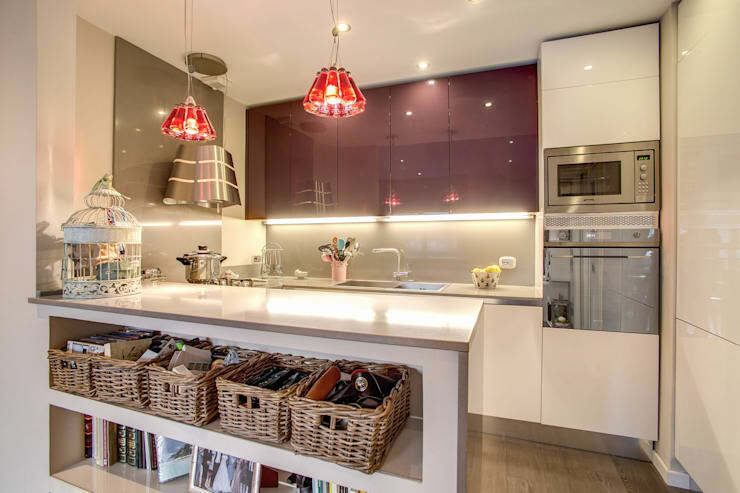 There is no excuse for not having a bright and attractive kitchen, worthy of a magazine cover! As you know, lighting is one of the most important and influential factors in the home. We are not just talking about the natural lighting, we are also referring to the artificial lighting. It's thus very important that your kitchen features several points of light, making the environment clear, bright and attractive. 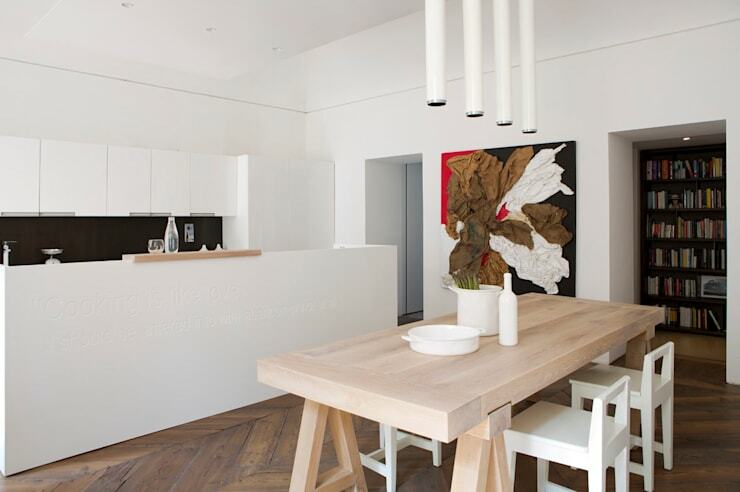 Do you see how this kitchen has been transformed into a magical space because of the lighting? The LED lights under the cabinets are truly functional! If you have an open plan kitchen that flows into the living room, you can seamlessly integrate some of the accessories to connect the various areas. This can also make the kitchen so much more attractive and special. Just be careful not to overwhelm the environment. It should remain functional and harmonious. Install shelves in your kitchen for a very practical, cheap and decorative design. You can place recipe books, herbs, beautiful crockery, paintings and other items on display, making for a very charming environment. 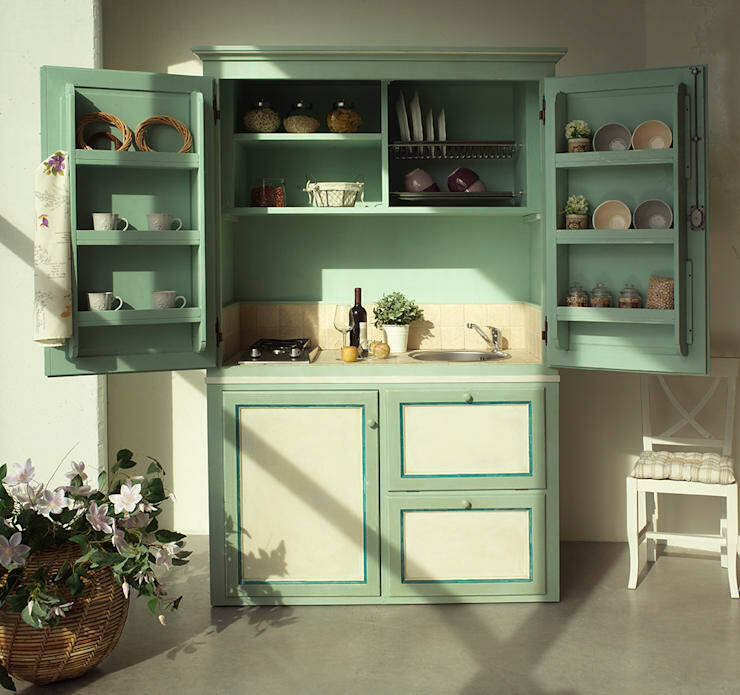 Also give your kitchen a unique personal touch by adding vintage furniture. The customization of this will make your kitchen far more magical. Have you ever thought of replacing the traditional white tiles with colourful options? No? Well it's time to reconsider! 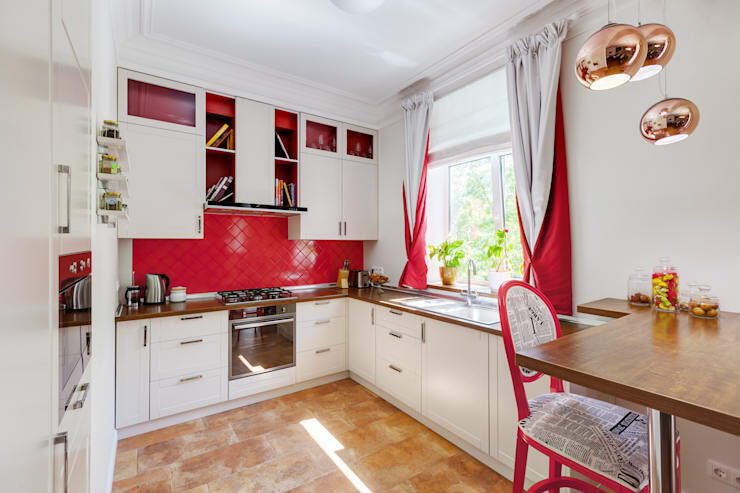 It is a beautiful way to bring life and colour to the kitchen. You can choose soft tones or you can opt for eclectic combinations or strong, bold colours. Another option is vinyl wall art, which is easy to install and makes for a gorgeous environment. 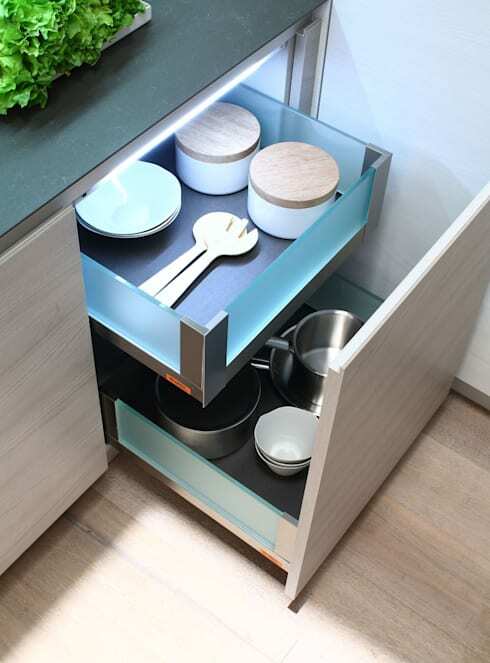 We know that space in the kitchen is always scarce, so you need to take advantage of every cupboard and drawer. Here we can see how you can create a two-in-one drawer, creating a far more organized and functional environment. 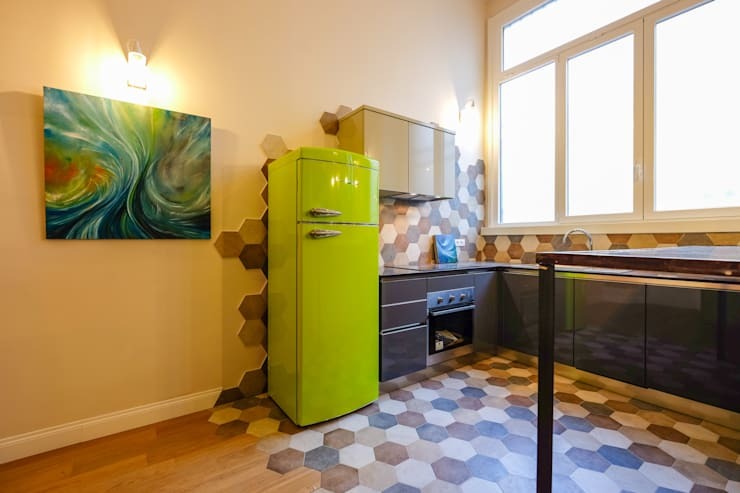 Give your kitchen a real touch of magic with colourful appliances that have a surprising effect on the environment. There are several possible colours – choose one that speaks to your personality! You'll have the most modern kitchen on the block. If you have the option of replacing or enhancing the hood above your stove, opt for a futuristic and stylish design like we see here. These are very attractive, combining smart technology with aesthetic design. 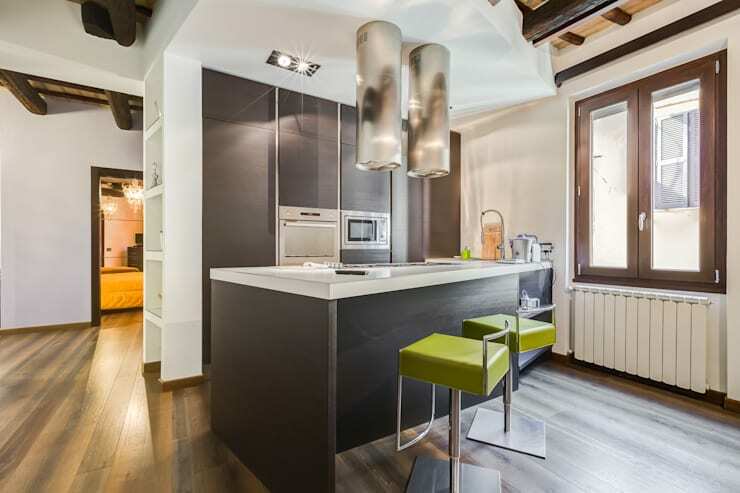 Also have a look at these 7 low-budget kitchens that look expensive. How are you going to make your kitchen into a magical space?